Frank Asch's bear stories are quite cute. The only way I can effectively describe this story is to label it disturbing. I grabbed it at the library since I recognized the author's name and once at home my oldest flipped through it before I did. Technically, he flipped through all but the last few pages as he dropped the book and screamed. And we read Neil Gaiman's The Dangerous Alpahbet on a regular basis. The story is about a cat celebrating a business promotion. He splurges and orders the raw mouse in the restaurant but is soon tricked into cutting into his own tail as the mouse escapes. I am unsure if I liked the story. My kids mostly liked it, though they were a little lost in the boring business talk. The artwork was original and saved the book overall. The mouse praying on a piece of toast was a bit overdone, if slightly humorous for an adult. Synopsis: It's lunchtime, and Mr. Maxwell is eager to celebrate his most recent promotion. Upon entering the Paw & Claw restaurant he is greeted by the headwaiter, Clyde, and led to his usual table for a rather unusual meal. A clever, suspenseful tale--David & Goliath story with whiskers...and claws!Review: This finely mannered book quickly surprises it's readers by bringing up heavy class distinctions early on. Mr. Maxwell is a bit of an uptight fellow who gets knocked down a few pegs my a seemingly innocent mouse.So begins the story of Mr. Maxwell and his meal, a very well mannered mouse with a hidden agenda. In this book, the mice are viewed as a lower class by the feline clientèle and meticulously brought forth to be served as fine meals. Shadows of mouse inferiority are present, "all of our mice are fresh and healthy" asserts Clyde the headwaiter "and bred for plumpness and politeness as well! ".However, this particular mouse has other plans that are far from polite--he sets out to free his captive family and friends. There are some aspects of religion brought forth (praying before the "meal"), growing older and perhaps coming to terms with death which might be topics parents would want to broach with their children (dealing with death, cycle of life, etc. ).What I enjoyed about this book was the lesson that while you may find yourself in a set class situation where you are poor, seemingly powerless and stuck...you can break free and create a new life, a new reality, a new world for yourself and your family. Heavy, darkish subject matter.Critical Reviews: School Library Journal: Reviewed positively as "wickedly humorous" with "thrilling and chilling art" I would tend to agree wholeheartedly. Heralded by SLJ as one of the "Best books of 2004".New York Times Reviewed by J.Patrick Lewis, the appreciation of the book is most certainly there. However, Mr. Lewis finds that the dialogs--which initially hold high promise--fail to deliver in an anti-climatic, slow moving conclusion. I agree that the ending would have been better served with a swift cut of the editor's knife. This is a genuinely strange book. The art is a decadent, hyper-real update on deco, and isn't afraid of showing a drop of blood. The story is like a knowing take on Grimm, prodding at the civilised veneer which overlays brute savagery to form civilisation. There are flickers of dry comedy. It's a great story for kids, but unfortunately the prose itself feels padded; it's not that there are too many pages, but too many words on each page. Toying with his prey at great length is fun for Maxwell, but asks a lot of a kid's staying power. But this is an original, the dark obverse of Asch & Son's Baby Duck's New Friend. I read this to my daughter tonight, and it was an absolute delight. The artwork kept her enthralled, and the story was sufficiently stately/morbid that, by the end of it, she was brimming with questions (and had a mild look of horror on her face). Is this really a children's book?!? Found this book on a suggested list of middle school picture books. The idea is that Mr. Maxwell, a cat, goes to a restaurant selling live mice as its entrees. Through the course of the book, the mouse who arrives at Mr. Maxwell's plate delays his lunch in all kinds of ways. The ending is quite clever, and I think middle schoolers would really enjoy it. I would suggest this book for an English class or Creative Writing class, especially when studying "trickster" endings. On order for my middle school library. Picked this up because it was on a list of picture books to read that older children might also enjoy. I'm not thrilled with this. The illustrations are beautiful. The concept of a cat ordering a mouse at a restaurant and then having to slice it to kill it was a little weird for me. I guess it's supposed to be funny because the cat gets hurt and the mouse escapes, but it was like a really wordy episode of Tom and Jerry. I liked the anthropomorphic style of the cats. 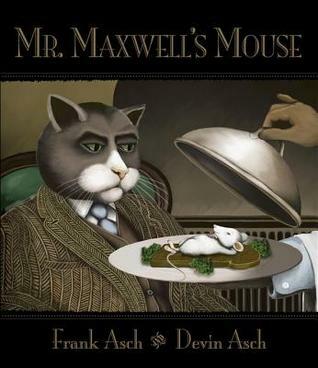 MR. MAXWELL'S MOUSE is the slightly gruesome story of a cat who visits a fancy feline restaurant and orders a live mouse. The mouse uses his wits to escape becoming a cat's dinner, and then frees all of his ill-fated brethren. (Nobody wishes to be dinner!) The theme may be a little dark for the tiniest tots, but those able to handle Warner Bros. cartoons will appreciate this witty twist on the cat-and-mouse genre. I had hoped to use it for preschool story time, but it's definitely too much for the preschoolers! Perhaps the right audience (maybe boys ages 5-8?) would find this book hilarious, but I found it slightly disturbing in a somewhat humorous way. The illustrations were marvelous, though! Sick, dark, disturbing. If that's what you like to read to your kids, more power to you. Frankly, I don't need this kind of thing in my life and I would never read it to a child--mine or anyone elses. Confirms my belief that some children's book authors are sociopaths. Not all. Just some. Delightfully dark, beautiful illustrations, clever. This is a fantastic book for children of all ages with such a great surprise ending! One of my absolute favorite books! My son does a lot of reading at school. His favorite books he either brings home or tells me about so I can find a copy at the public library. One of his recent recommendations was Mr. Maxwell's Mouse by Frank and Devin Asch.Mr. Maxwell is a fat cat (literally and figuratively). He wears a nice pinstripe suit and reminds me of a feline Al Capone. He usually gets his mouse baked but today he decides to order it raw. His soon to be meal has other plans though and through a clever turn of words manages to make his escape.Devin Asch's 1930s inspired illustrations bring an interesting dimension to this book. The restaurant could be a speakeasy. Maxwell could be a mobster; he certainly is from the point of view of the mice in the story. The pictures are detailed enough to make the book worth a re-read or two. Mr. Maxwell is one contented cat. He has just been promoted. And what better way to celebrate than by going to his favorite restaurant, the Paw and Claw? He decides to live a little and order the house specialty--a live mouse. When the headwaiter asks if they should kill the mouse, Mr. Maxwell says that isn't necessary. He knows the Paw and Claw's mice are bred for politeness! But this particular live mouse can't keep quiet--would Mr. Maxwell like to add a little salt? Or order a glass of wine? Would he mind saving a little prayer before eating? My, what a bold and wordy mouse! Mr. Maxwell hopes the mouse doesn't give him indigestion ... Richly illustrated and full of surprises, Mr. Maxwell's Mouse is a David-and-Goliath story with claws, whiskers and tails. I loved this book. It is so beautifully illustrated. I had to just stare at the pictures. So crisp. The story was awesome too. It is about a cat who is very sofisticated. He was just promoted to Vice Manager of Efficiency Control at Taylor, Bentwell and Nipson and he is eager to celebrate at the Paws and Claws, a very fancy restaurant. He is greeted by the headwaiter Clyde and in celebration orders a live mouse. The cat and mouse story begins there. Then he meets his dinner. Such a polite dinner at that. This is a must read for you cat and mouse people out there. This is the best cat and mouse game I have seen in awhile. I had a cat named Maxwell Silverhammer and the title caught my eye. I don't think my Maxwell would have been so patient. This has got to be one of the weirdest children's pictures books I've read. Both boys (Asher - 6 and Dex - 4) seemed alternatively fascinated and disturbed by it. The story is about a cat going into a restaurant and ordering a mouse to eat. The mouse is alive and the cat seems to have misgivings about killing it to eat it. The mouse offers many "helpful" suggestions on ways the cat might be more comfortable killing and eating him. In the end, the mouse tricks the cat and gets away, but for a long time you're convinced that the mouse is resigned to his fate and more than willing to help the cat figure out a way to destroy him.Illustrations are dark, but intriguing. Mr. Maxwell's Mouse is a cute book, written by father and illustrated by son. It's about a world like our own, except humans don't populate the world: cats do.They wear human clothes and drive cars, that sort of thing.Anyway, one rainy day a cat called Mr. Maxwell just got a promotion at his work and decides to celebrate at the Claw and Paw, a very nice restaurant where live mice are served to eat. They are well bred with good manners, to entertain their guests before serving catkind and getting eaten.This is a wonderful story about the mouse Mr. Maxwell gets to eat, and how he is outsmarted by him. I liked it very much!! I read this to my little 4-month old Zoey. One would probably argue that she really just enjoyed hearing me speak and snuggling with her, but really I think she enjoyed the story line. The pictures complemented this grotesque story quite well and, despite the lengthy passages, kept Zoey's attention nicely. It was a nice change from sunshine and rainbows (there was even a drop of blood in this story!). I may someday read this story to her again, maybe when she is 8 or 9. Anyway, Mr. Maxwell and his meal simultaneously teach courteous behavior while providing an entertaining story. Mr. Maxwell, a well-to-do cat who was recently promoted at his company, dines regularly at the same restaurant each and every business day. His usual meal (baked mouse) seems too dull for the day, so he springs for a live mouse, served on a bit of toast. The clever mouse worms his way into Mr. Maxwell's doubts and pulls a surprise ending from a seemingly doomed existence.Dark, with browns, greys, and slate-blues dominating the artwork, the illustrations set the stage for wit and a self-effacing survival technique. Best for older readers/listeners. This book is very dark - the humor and wit are great, but in an almost distasteful (sorry for the pun!) way. The illustrations are also very dark and sombre, appropriate for the theme. The idea of killing your food as it sits on your plate in front of you, speaking to you, is quite a shocking concept. While it's a good story, I would only recommend it for older children - the story ends well, but the pictures of a fork and knife poised to slice into a live mouse might be too much for younger or more sensitive children. This creeps me out so I have to give it one star fewer. Mr. Maxwell, a cat, goes to an upscale restaurant and orders a fresh mouse. It arrives on a piece of toast. Mr. Maxwell salts it and prepares to cut into it, when it engages him in what becomes a protracted negotiation to save its life. (I guess I'm using "it" here because I'm still so yucked out by the live mouse about to be speared by the fork)Dark toned paintings in a 1920's style give this a rich background, and the cleverness of the mouse will engage readers in grades 2 and up. Good for persuasive mentor text. I was dissappointed by this book. Where the illustrations were wonderful, I thought the lanquage was to hard for the intended audience to understand. I also thought the inheritant sotry of eating and killing a mouse for dinner at the dinner table was a bit too much for a children's book. I mean I understand that the mouse is going to escape but for most of the book that target audience does not understand that. One of those books that is cheeky and clever - a page practically devoted to what wine goes with mouse, the art very film noir, and I am sure there is an audience for it. However, the sheer wordiness of it, the cleverness tilted more towards appreciative adults than kid-pleasing, and the bit of gore at the end turned me off. However, I did enjoy the final page, the mouse's note to the cat. Incrediblly detailed illustrations in dark tones, with white text on black background make the ominous mood of this story even more intense. The presumed power of the cat (in fact, of the rich society of cats) make the mouse appear helpless, when indeed it is anything but. Well worth discussions with readers of many ages. this book was awful. it was just so bad, I can't even think of words to discribe just how much this was NOT a good book. 1st of all, it has cats, but not just any cats, creepy cats, that look like humans with cat heads (never ok in my opinion) 2nd of all, the storyline was not good, and 3rd and most important of all....this book was just bad!! This book literally gave my first grader nightmares!!! Horrible kids book!! It was circulated in his classroom and he kept complaining of a scary book in the class (at 2 in the morning) so I asked the teacher to pull it out for me and it is pretty gory with illustrations and the story plot is disturbing! This is another one we got out of the library and liked so much that we bought it. How would you feel if your dinner spoke to you from your dinner plate as you were about to eat it? Despite the politeness of his dinner Mr Maxwell finds it difficult to plunge in his knife. My boys LOVED the page with the drop of blood. 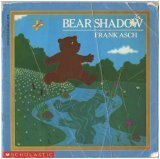 Frank Asch Devin Asch - Frank Asch is an American children's writer, best known for his Moonbear picture books.Asch published his first picture book, George's Store, in 1968. The following year he graduated from Cooper Union with a BFA. Since then he has taught at a public school in India, as well as at a Montessori school in the United States, conducted numerous creative workshops for children. He has written over 60 books, including Turtle Tale, Mooncake, I Can Blink and Happy Birthday Moon. In 1989 he wrote Here Comes the Cat! in collaboration with Vladimir Vagin. The book was awarded the Russian National Book Award and was considered the first Russian-American collaboration on a children's book.Asch lived in Somerville, New Jersey where he and his wife home-schooled their son Devin.He currently lives in Vermont with his wife, Jan.